The college also organizes Seminars for increasing the communication skill and other skills of the students and teachers as well. 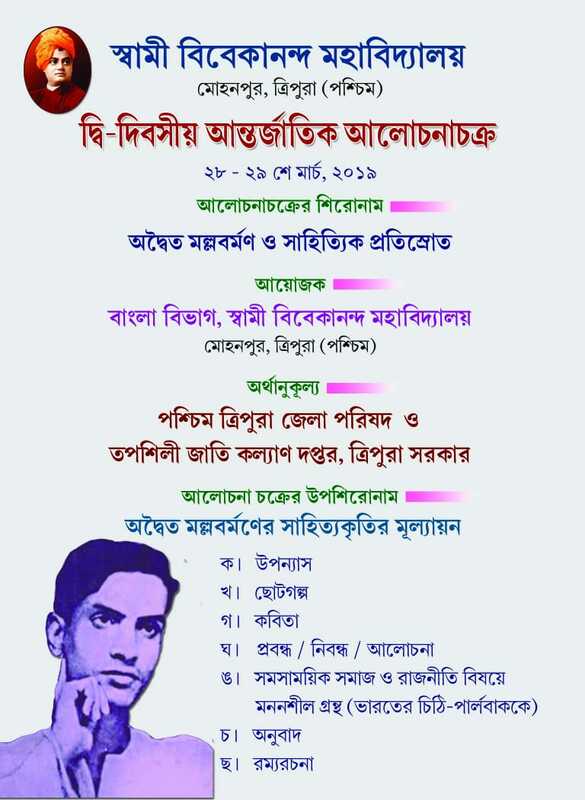 Lists of seminars organised by the college. 1.ICSSR sponsored Two Day National Seminar on " Quality Education in North -East india : Initiative and challenges" organised by Dept of Education held on Nov 17 & 18 2018. 2.ICHR sponsored International seminar on "Swami Vivekananda and India's Response to Universalism" organised by Dept of History held on 11th and 12th February 2017. 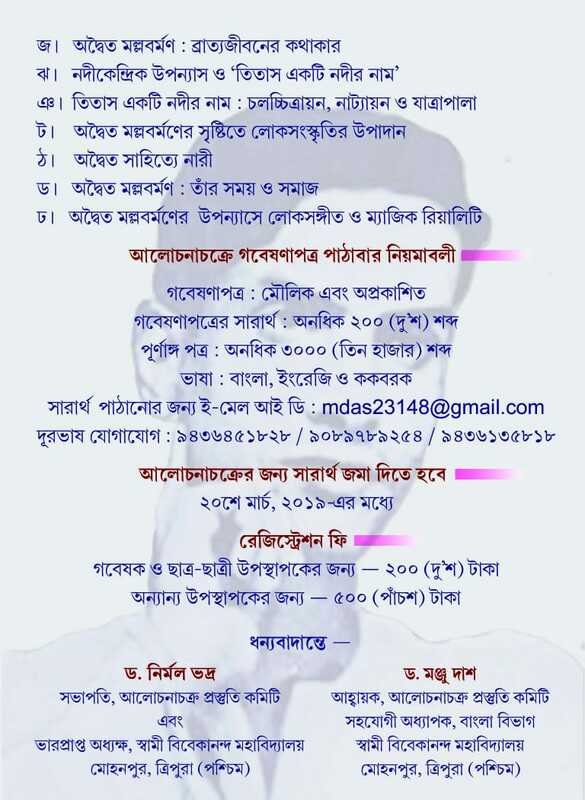 3.ICHR sponsored National seminar on "North-East India: Before and After Partition with special reference to Tripura organised by Dept of History held on 14th and 15th February 2015. 4.Shatabarsher aloke Adwaita Malla Barman- Alochana Chakra held on 21st Dec 2013. 5.A state level seminar on Swami Vivekananda held on 12th Jan 2013.